Can we debug the Universe? that is, one has to replace dy with dz. 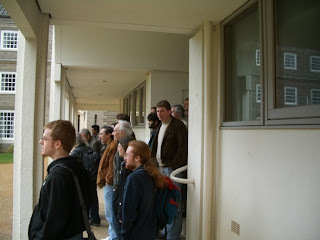 SPUC09 was an event that was organized by Mark Hogarth and Mike Stannett and it was founded by EPSRC . It attracted researchers from Computer Science, Mathematics, Physics, Biology, Artificial Intelligence, Economics, and Phylosophy. Delagates presented interesting ideas and the discussions that followed each presentation were very vivid. Personally, I had the chance to meet some new friends and to discuss with them some interesting ideas. Also, I had the chance to personally meet people with whom I had exchanged many e-mails in the past. in my book regarding the feasability of his relativistic hypercomputer. able to finish a particular supertask it was assigned to finish.